When “medium duty” just doesn’t seem heavy duty enough for the job you have in mind, turn to a Kenworth T440 or T470. 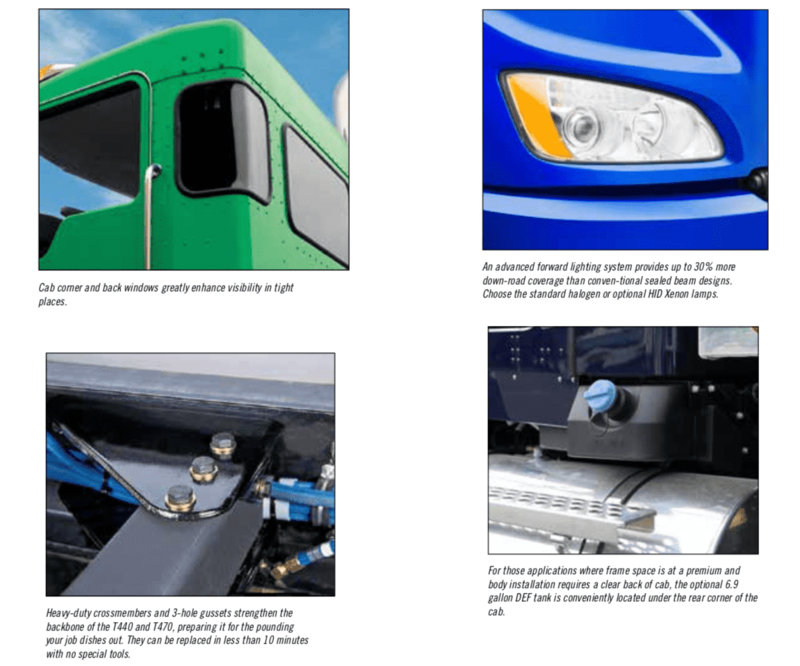 Serious workhorse solutions for more demanding regional haul, pickup and delivery, municipal and vocational applications, these vehicles far outpace other trucks in this category. 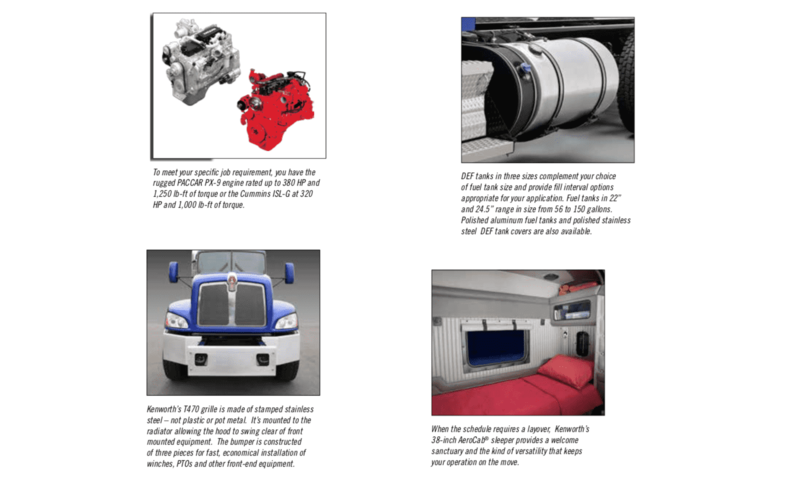 Each is available in a straight truck or tractor in GVW ratings from 33,000 lbs to 68,000 lbs. The versatile new Kenworth T470 merges just the right mix of brain and brawn to forge a whole new class at the heavy end of what is usually termed “medium duty.” With full parent rail extensions providing maximum resistance to bending moment (RBM) from one end of the rail to the other, the T470 supplies a solid and durable mounting platform for hydraulic pumps, winches, front stabilizers and snow plows. OF COURSE YOU HAVE CHOICES. THIS IS YOUR KENWORTH. 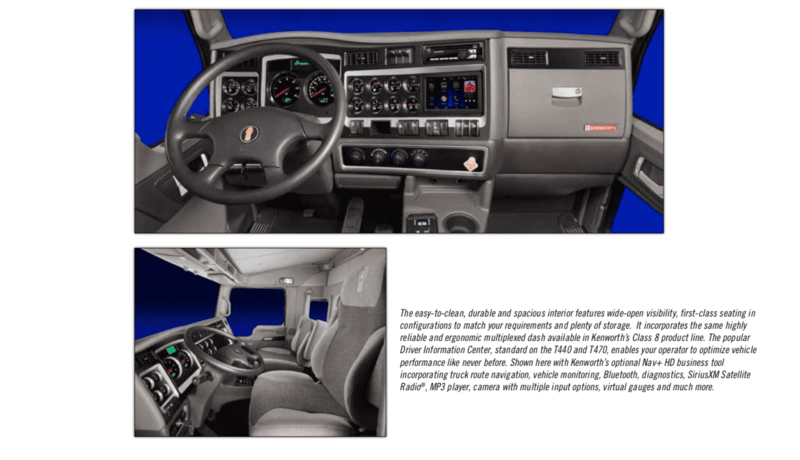 As a custom truck builder, Kenworth offers more job-specific and factory-installed options than any other manufacturer of heavy and medium- duty vehicles. The result is an integrated, fully-engineered, job-ready solution you can depend on — right from the start. Here are just a few of the choices you might consider when you order yours — including some exclusive items you simply can’t get anywhere else.